3 octobre 2015 : Tous les messages - Mary-Lou, americana and folk with a french touch ! 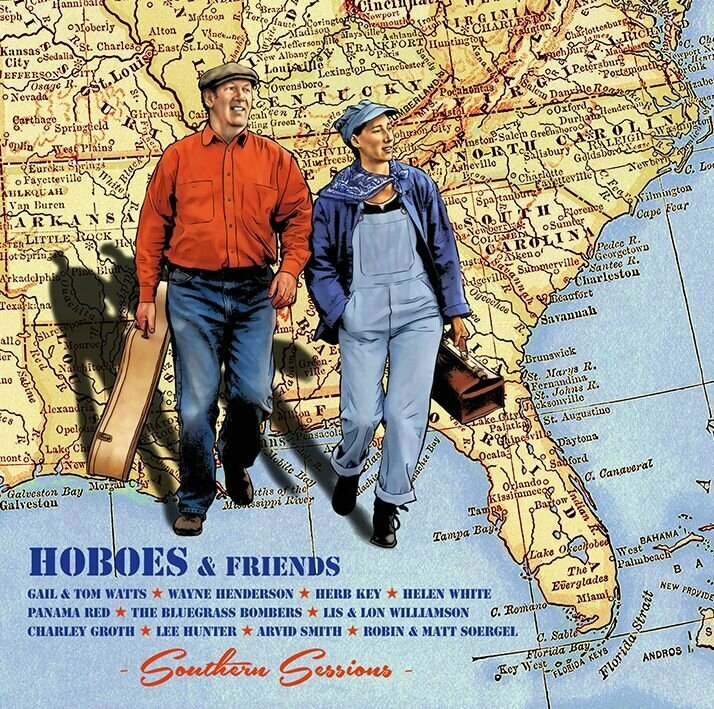 We are glad to present our new cd "Southern Sessions". It has been recorded in april may 2015 with Gail and Tom Watts in North Carolina, Wayne Henderson, Herb Key and Helen White in Virginia, Panama Red in Tennessee, The Bluegrass Bombers in Arkansas, Lis and Lon Williamson, Charley Groth, Lee Hunter, Arvid Smith, Robin and Matt Sorgel in Florida. We have selected 19 songs mixed by Pete Winter in Tallahassee. The 24 pages booklet has been designed by Jocelyn Lecocq with drawings of Wilfrid Cadet and Marie Béney. You can get all the informations, pictures, samples here. You can also order the cd for 13€ shipping included. Pay with Paypal and you will receive the cd(s) in your mailbox. Fast and secured.